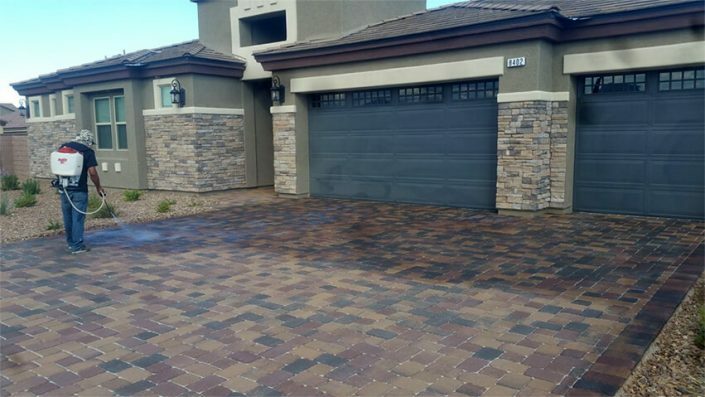 As low as $.95 per sq ft.
Pavers are designed to last as long as your home does. 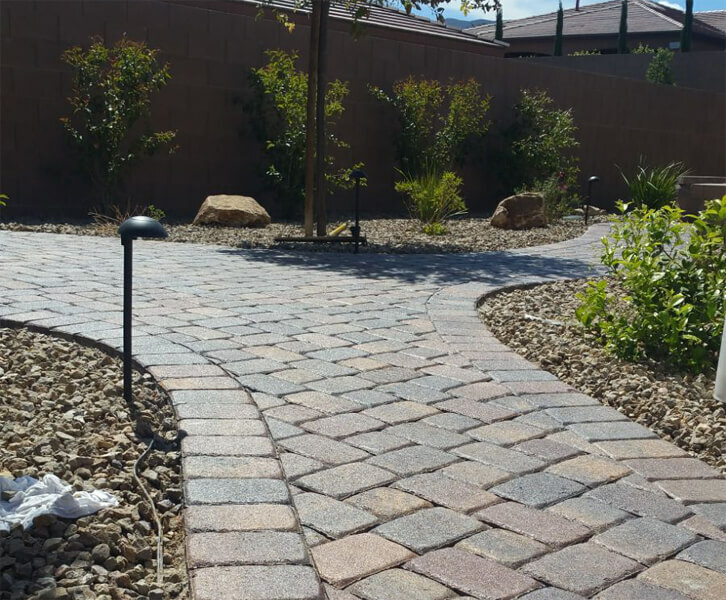 However, like any decorative exterior surface, pavers require maintenance to protect them from weather and use. 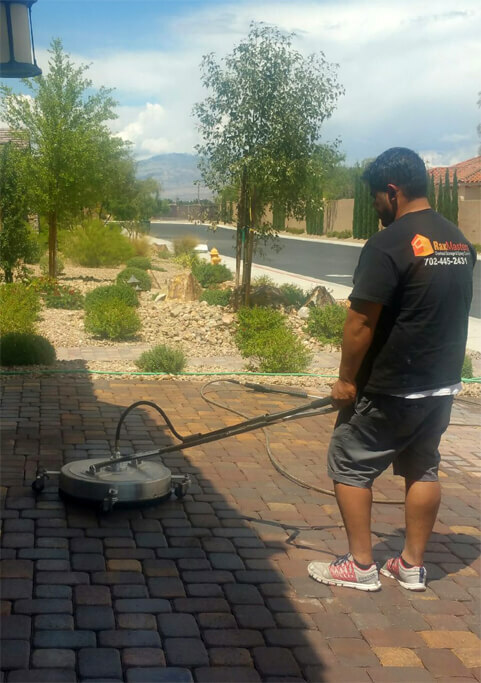 Pavers are a porous surface that absorb stains easily, and the weather in Las Vegas is harsh on all outdoor surfaces. 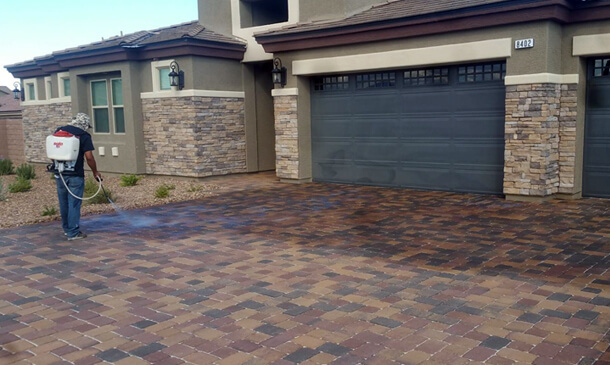 Most homeowners experience discoloration, heavy tire marks and oil stains that are almost impossible to remove on unsealed surfaces. Raxmasters highly recommends you protect your investment by sealing your pavers professionally and ensuring that the correct sealer is being applied. 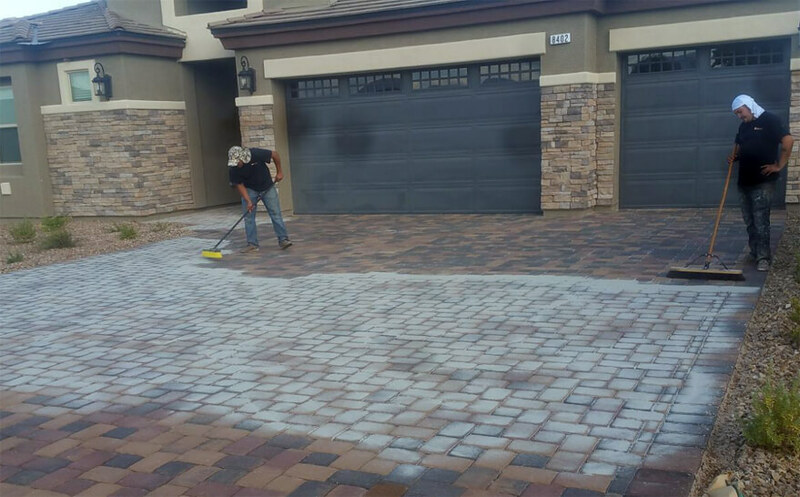 The sealant will protect your pavers while maintaining the visual appeal of your pavers. This is a project that homeowners never regret.